JACKSONVILLE, Fla., Nov. 8, 2018 /PRNewswire/ -- Video games help keep service members connected with home while they are deployed overseas. Those same games can now help communities support wounded veteran's transition to civilian life. Wounded Warrior Project® (WWP) recently launched WWP Play™, an opportunity to help support the veterans charity's mission to honor and empower wounded warriors. WWP Play allows video gamers and content creators to register their live stream and raise money to fuel free WWP programs and services. Wounded Warrior Project is transforming the way America's injured veterans are empowered, employed, and engaged in our communities. Generous support from communities like the gaming and streaming community allows WWP to continue to provide free services in mental health, career counseling, and long-term rehabilitative care that changes lives. "We know how supportive the gaming community is," said Gary Corless, WWP warrior support. "We're grateful for the care they have shown to our nation's veterans." This Veterans Day weekend, through WWP Play, the veterans charity is promoting Stream to Serve™. 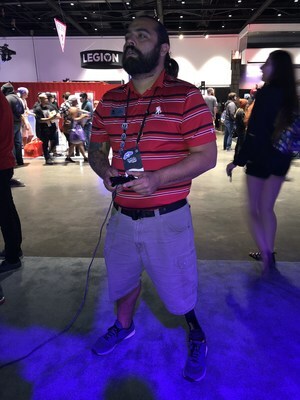 The streaming event invites gamers and content creators to support warriors by raising funds while broadcasting their stream. Supporters in WWP Play also donated incentives to encourage gamers and their supporters. Sony PlayStation, Victorinox Swiss-Army, and HyperX all provided support. Learn more about WWP Play and register for Stream to Serve at wwpplay.org.